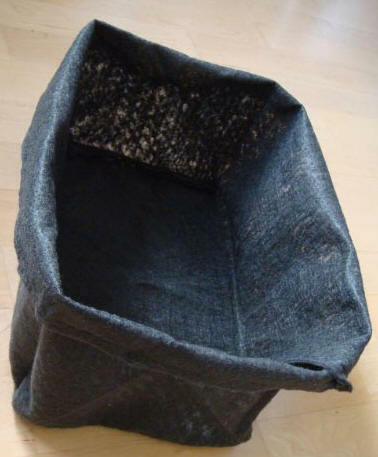 ExtraPackaging.com manufactures a variety of dewatering container solutions, including customized bladder bags and heavy-duty dump truck liners. 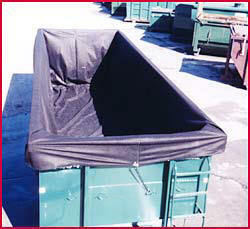 We also provide water containers for specialized drainage, runoff, and water storage needs. The products detailed below offer customized solutions for your dewatering needs. To place an order or to obtain more information about our products, please call us at 888-353-9732. Our de-watering Container Liners are form-fitted filter bags utilized in dewatering containers during solid/liquid separation of sludges. The dewatering Liners are manufactured to accommodate the standard shapes and styles of dewatering containers in use today. Transportation and disposal costs are reduced by minimizing waste streams on site before transfer. Disposable filter bag and retained solids are ready for disposal after dewatering, thus eliminating further solidification costs. We stock numerous standard sizes to ensure fast turnaround times. Various cloth and screen mesh filter options are available in order to achieve desired flow rates and micron levels. Our Filtering/Dewatering Bag is a simple solution to the tough problem of separating liquid from sludge when used in conjunction with waste containers. Stock sizes available for immediate shipment. Easy installation takes only a few minutes. Our Spill Diapers help solve the problem of unexpected leaking tailgates in roll-offs and dump trailers. Made from heavy-duty plastic, the Spill Diaper fits around the outside of the container's tailgate to contain leaking liquids. Drivers can carry them in the cab of the truck for emergencies while transporting. Spill Diapers are also useful for spill response teams and for landfills, incinerators, and treatment plants needing to control leaking containers entering their facilities. Spill Diapers are easy to install! To install, simply slide the Spill Diaper over the rear of the container and secure with tape. Our reusable bib tarp holds the Spill Diaper in place for road travel or you may prefer to use your own tarp. Stock sizes available (with or without bib tarps) for immediate shipment, or custom sizes can be manufactured to your specifications. As a preventive measure against leaking containers, we recommend using our most well known product, our Container Bag Liner. This polyethylene bag liner is quickly and easily installed inside roll-offs and dump trailers, provides additional safety and security, and enables cleaner dumps.